Below is only a selection of the religious titles which we have in stock. 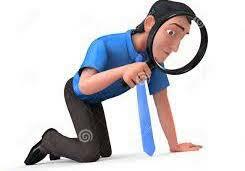 If there is a particular title or subject area you are looking for, contact us with details and we will be pleased to try to help. Keeping religion out of ethics. The author argues that we should see morality as human and not just the remit of religion. This is a book of morals for a brave new world written by a very wise man. A richly illustrated exploration all the major religions of the world - their beliefs and practices and how they have shaped the history of the world. Br Andrew worked to reach out into the former strangleholds of Christian persecution in China and Albania. He is the founder of Open Doors, an international ministry serving Christians persecuted for their faith around the world. Encounters at the end of the century. Even though in todays society it appears that God is being pushed out to the margins, the Bible challenges us to find God. Throughout this book we can discover how God can speak to us now wherever we are.. The Secret Scroll is the story of how a little known hanging parchment in a Masonic Lodge in Kirkwall in Orkney has become one of the most important historical documents of the Middle Ages. 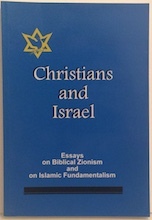 Essays on Biblical Zionism and on Islamic Fundamentalism from leading academics in the field. Essay subjects include The Triple Bond: God,Jews and Gentiles; A Christian Confession; The Essence of Islam; The Weapon of Praise and many more. The daily news is jammed with alarming headlines of conflict in the Middle East, economic crisis and terrorist threats around the world.Billy Graham gives a very good explanation of the times we are living in and what the Bible has to say about these storms facing us today. Billy Graham has such a gift of explaining God's word. This is a special TBN edition. Written nearly 50 years ago, this illuminating work declared that "China is the touchstone of Christianity in the 20th century" and makes comparisons with the experiences of the first Christians. As there are now more Christians in China than all the rest of the world put together, adds importance to this seminal work. 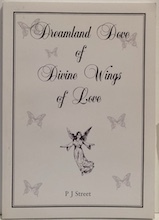 Every time we think a negative thought or commit an act of jealousy, greed or hatred, we are holding the angels at bay. The angels want to help us, but they are powerless, except in extreme cases, if we do not create an atmosphere of love and kindness in which they can intercede on our behalf. Martin-Kuri shares with us special techniques for taming our inner dragons and defusing the powerful negative energies of society.. This training handbook suits all levels. it addresses the vital task of raising the profile of children's ministry to ensure a generation that will in turn touch the future. Slight shelf wear to cover only. This book explores the rationality of Christian theology on the modern world. In the past two centuries theology has passed through the 'fires of criticism'. This book concentrates on the intense challenge of the great reductionist thinkers to the validity of the Christian faith. £7.95 with FREE delivery to UK addresses. The role of the Middle Eastern countries in world politics and economics has become more prominent in recent years. 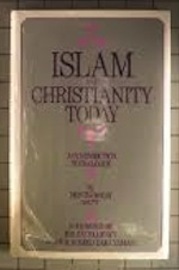 The impact of Islamic culture on the West and the meeting of Islam and Christianity take on a new importance. 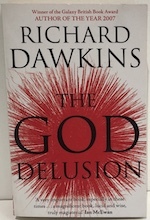 This title looks at the meeting of the religions, how they see and have seen each other in dealing with the problems of the world today. William Montgomery Watt (14 March 1909 - 24 October 2006) was a Scottish historian, an Emeritus Professor in Arabic and Islamic Studies at the University of Edinburgh. Watt was one of the foremost non-Muslim interpreters of Islam in the West, and according to Carole Hillenbrand "an enormously influential scholar in the field of Islamic studies and a much-revered name for many Muslims all over the world". 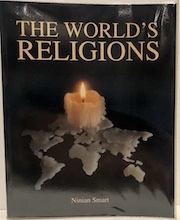 This book, published in 1983, is still an important publication, which defends both faiths and compares and contrasts their beliefs and doctrines. £23.40 with FREE delivery to UK addresses. Does religion do more harm than good? Many contemporary critics would argue it does. Ward responds by looking at all the evidence and this book makes powerful reading for all those interested in issues of truth, freedom and justice. Without religion, he argues, the human race would be considerably worse off and there would be little hope for the future. This interdisciplinary book aims to introduce the reader to what Plato, Christianity, Marx, Freud, Sartre, BF Skinner and Konrad Lorenz have to say about the nature of mankind. Daily readings for Advent and Christmas with reflective ideas for meditations and prayer. Exclusive Trinity Broadcasting Network edition. 'In biblical times a name represented a person's character. 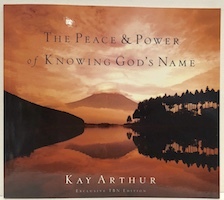 God's name represents His attributes, His nature, His name is a statement of who he is' Kay Arthur is one of America's best known and most loved Bible teachers and authors. Galatians is a breath of fresh air blowing through the musty cells of human imprisonment and despair. 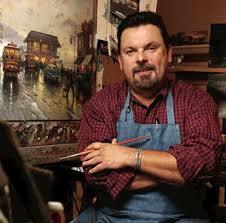 Steve Brady is above all a real person who provides provocative insights and ideas not for the fainthearted! The past has no power over your future! When pain from the past lingers in your life and causes emotional scars, this books helps you understand that God is always ready to help heal without scars. Mike McKeever has been teaching the word of God for over 20 years and his TV programme Preparing the Way was first aired on Premiere Christian Radio in 2010 to worldwide audiences. He lives in Glasgow, Scotland with his wife Jeanette where they both lead the New Mercy International Church. 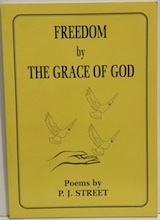 cj-books-etc has several titles by Mike McKeever on offer. Falling in love is the easy part. Learning to live together happily requires work. Learn the top mistakes men and women make in marriage and what actually makes couples happy. New paperback for £13.00 with FREE delivery to UK addresses. Every day you live as an eternal investment opportunity. Its how you use the talents, time and treasure you have that makes the difference. This books helps identify and use your gifts wisely. This books gives you the top ten things to watch and pray for using the Bible as a guide to understand jugdement, heaven and hell against an end times scenario. Some of the most sought after things in the world can be found in the most unlikely places. McKeever argues that so too can the answer to 'where can I find joy?' be found in the ten commandments in the Bible. 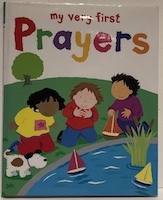 Delightful prayers both traditional and modern especially chosen and beautifully illustrated for young children, presentation page clean and unmarked, ideal gift. 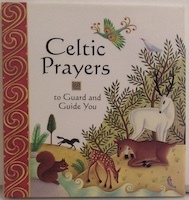 These Celtic prayers both old and new ask simply and earnestly for God's blessing: that God will guard us, guide us and do good things for us through all our days. Ideal gift for all ages. Unmarked pages, complete with cut our nativity scene, cover intact with only slight wear to edges and some spotting to cloth spine. 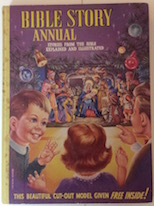 A lovely truly Christmas annual. Used very good £7.99 with FREE delivery for UK addresses. 12yr old Tessa was not enjoying her holiday with an aunt and uncle in Cornwall. However a terrifying adventure was about to begin as her twin brother and sister disappear. While the mystery unravels, Tessa and the twins find that faith in God really works. 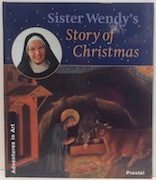 Sister Wendy opens the eyes of young readers to the very different ways 20 artists have depicted elements of the Nativity over a period of 800 years. A warming tale of Christmas motherhood beautifully illustrated. This simple Bible Tales edition is beautifully illustrated and gives young readers the opportunity to start with the easy text and build up to the more advanced lines as they gain confidence. 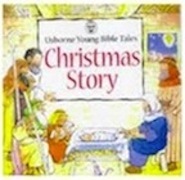 A delightful rendition of the traditional story of Christmas. Ruby text with Old Testament, New Testament and Harmony of the Gospels in a blue hardcover with silver effect lettering. 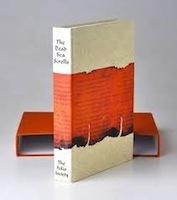 Pocket sized edition, ideal gift. Great for all purpose reading and study. Jesus' words in red. Presentation page blank, modern design black leather soft cover with silver stitching and silvered page edges, slightest shelf wear to cover only. Complete with application notes providing penetrating insights into what the Bible says to you about how you live. Jesus' words in red, includes dictionary/concordance, charts and maps, character sketches and notes. 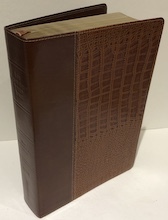 Tan mock-croc leather with smooth quarter spine, gilt edged pages and ribbon marker. Slightest shelf wear, unused but no box. Reprint of the 1st edition of the complete 'New Translation' Bible published by Morish in 1890 with 1939 amended footnote version. Printed on Minion Oxford India Paper with stunning rose gilt page edges, two ribbon markers and black textured leather soft cover. 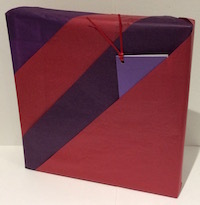 Excellent unused book but with no box. Authorised King James Version. Black imitation leather cover with blue stained edges complete with box which is worn, bible is in pristine condition. 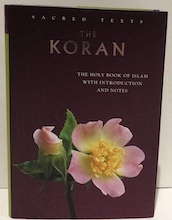 The Holy Book of Islam with introduction and notes. This translation was first published in 1900. Handy pocket size. cj-books-etc is pleased to offer a volume of this important book for £19.75 with FREE delivery to UK addresses. 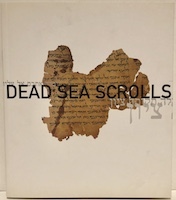 The Dead Sea Scrolls are a collection of fragmentary manuscripts dating back 2000 yrs which hint at the values, structures and sensibilities of Jewish communities in the Pre-Christian era. This record of the exhibition of such antiquities in Australia in 2000 is beautifully presented with commentary from eminent scholars in the field. New Living Translation of the Holy Bible. Special TBN edition in white faux leather with gold embossing. 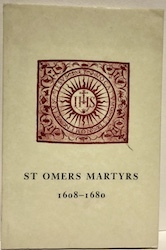 This very limited edition chronicles the bravery and sacrifices made by boys and men connected with the St Omers School set up by Fr Robert Persons in the Spanish Netherlands during the Reformation and its persecution of Catholics in England.